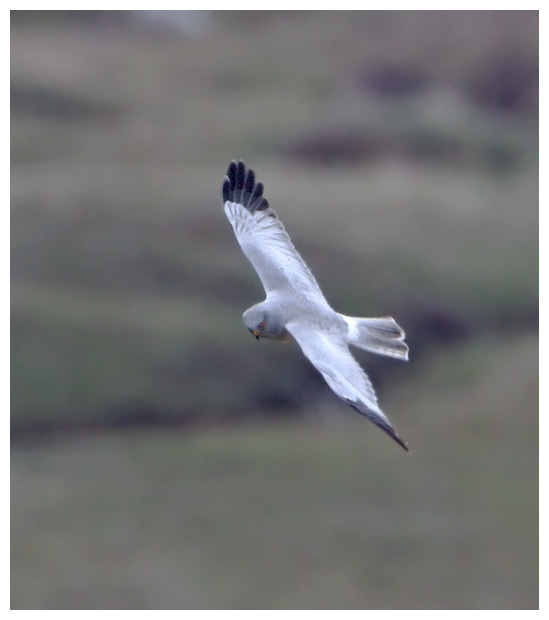 Today, 10th August, is Hen Harrier Day. It is organised by a coalition of Birders Against Wildlife Crime, former RSPB Conservation Director and leading activist Mark Avery, broadcaster and conservationist Chris Packham, the country’s leading wildlife charity the RSPB, and the North West Raptor Protection Group. Just a few hundred years ago Hen Harriers were a widespread and common bird of prey. Now, in 2014 only three have bred. In 2013 the last remaining Hen Harriers didn’t manage to raise one chick and who knows what will happen to the chicks of this year. Last year I was out walking with my Granddad near where I live in Staffordshire in a horrible downpour. All of a sudden a large grey bird flew over our heads, at first I thought it may have been a seagull because of the noise it was making but it was much bigger. When I got home I discovered that it was in fact a male hen harrier. The next day I went back to the place where I had seen it and I returned quite a few times after that too. On a couple of occasions I managed to see the bird again but it was from a distance. However I still felt, and still do now, extremely privileged to have seen the bird as I may not ever see one ever again. Here’s a reason why you should get involved and help our Hen Harriers. Previous PostOtter glory!Next PostFishing skills.